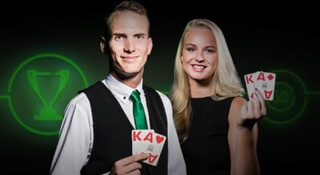 The Colour of Monday is finally back at Unibet with a £40,000 prize pool! The popular Colour of Monday-promotion is finally back at Unibet – and it’s bigger than ever! More prizes, more winners, and £40,000 in cash! £30,000 prize pool with additional £10,000! The prize pool for the tournament itself has grown to a hefty £30,000. The cash will be shared between the top 200 players, with a top prize of £5,000 to the winner. But there´s also an additional £10,000 up for grabs! The top 300 players in the tournament will all be entered into a Live Draw – where 10 lucky players will win £1,000 each!